Call us about our wonderful child birthday and special occasion parties! 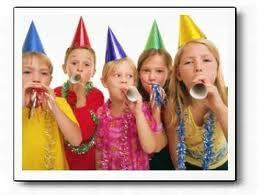 We can do parties for up to 25 children with all types of instruments to play, singing, stories and musical games. We bring it all to you! The type of party we do depends on the party theme, age, and interests of your child! We have done farm animal, teddy bear, picnic, dinosaurs, transportation, under the sea, and jungle parties to name a few. The party cost is $250.00 which includes goodie bags for up to 25 children and 1 hour of entertainment in your location. ​We also provide packages that include location for the party in Rancho Palos Verdes, decorations, cake, pizza and the entertainment/ goodie bags listed above. Please call (310)373-0280 for specific pricing on these packages or fill out the form below for a timely response.